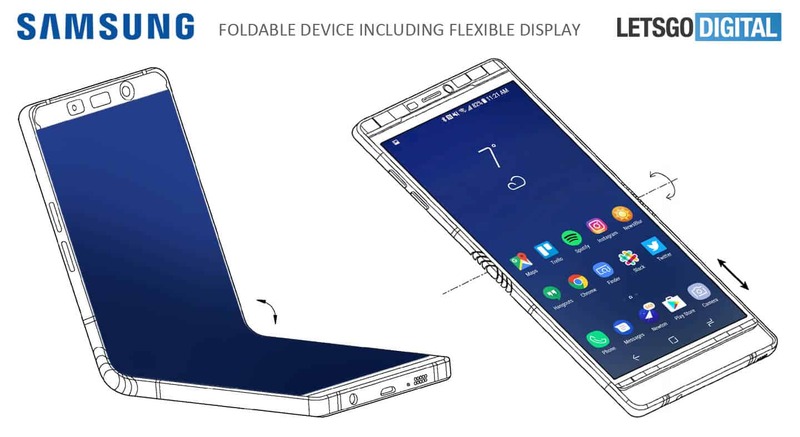 We might have our first look at the design of Samsung’s foldable smartphone, currently going under the Galaxy X moniker. Netherlands tech site LetsGoDigital spotted a patent filing by Samsung to the World Intellectual Property Organization (WIPO), an agency of the United Nations. The renders show a smartphone capable of bending in the middle, like a book. They do not show how the software would transition from a flat to bent device. The second image (below) reveal how the internal components would fit inside the device. Most are piled to one side and the camera components are on the other, divided by a hinge. The device reportedly uses a polyimide film to bend, which has been in development for a few years. The film is resistant to heat and chemicals, useful for a smartphone, and is also flexible. 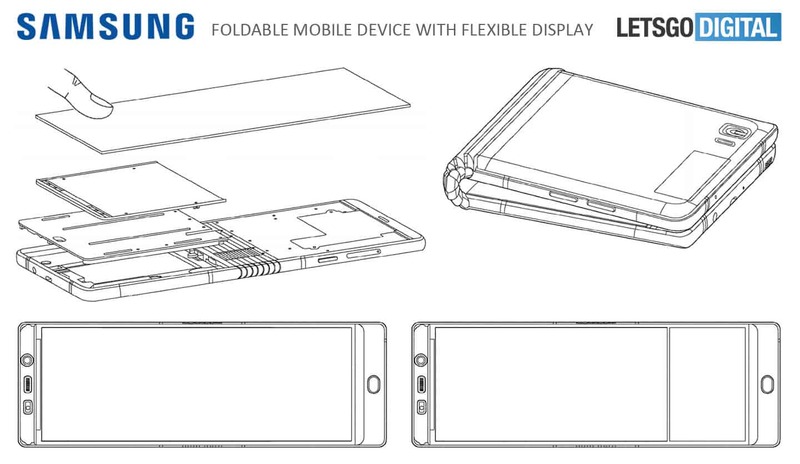 We highly doubt Samsung will use the design filed in the patent, as it has moved to the Infinity Display. The patent was originally filed on 14 June 2017, when bezels were slightly thicker. The Galaxy X is rumored to have a 7.3-inch OLED display. This would be one of the largest smartphone displays on the market, towering over the Note 8’s 6.3-inch display. Samsung will potentially add it to the Note line, instead of launching it as a new series. The device will reportedly have its own stylus, but it will not go inside the device, like it does on the Note 8. “Samsung has the foldable smartphone in its roadmap for the Note series and is currently working to solve a series of hurdles before unveiling it next year,” said head of Samsung’s mobile division, DJ Koh, to the Korea Herald in September last year. Multiple sources have confirmed Samsung previewed the Galaxy X at the Consumer Electronics Show in Las Vegas last week. At the private meeting, Samsung executives showed infolding and outfolding models. The Investor said Samsung sees the outfolding model as a “more advanced next-generation technology.” We do not expect this to come on the first-generation version of the Galaxy X.
Samsung has not confirmed a release date for the foldable smartphone, but rumors suggest sometime late in 2018. According to people at the event, Samsung is pushing for a November release date, although others expect it earlier. Would you buy a foldable smartphone? Let us know your thoughts in the comments!